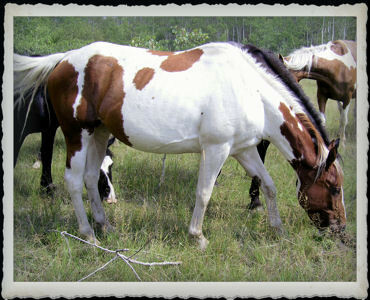 River Rider Ranch in Alberta. her sire, is a Grand Prix jumper shown both in Europe and North America. Jus de Pomme won both team and individual gold medals in Show Jumping at the 1996 Atlanta Olympics. Verband Inspection Team in 2000 and was awarded Premium status. 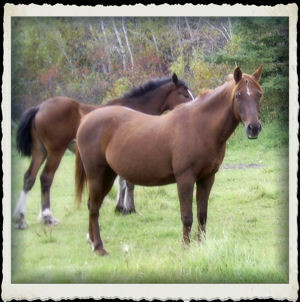 According to the inspection team she was the best mare they had inspected in Canada that year! 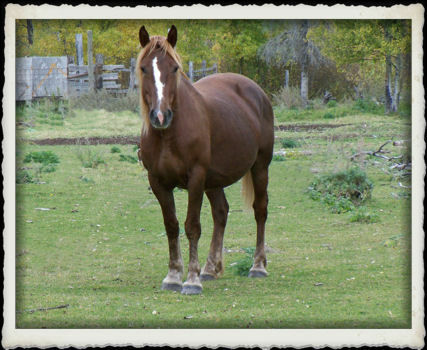 Heidi was a successful hunter, hack, and jumper (up to 4 feet) before becoming a broodmare. 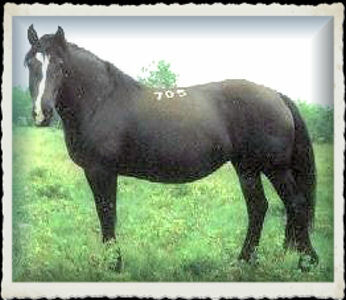 Hela, Heidi's dam, produced many foals that were successful hunters, jumpers and dressage horses. 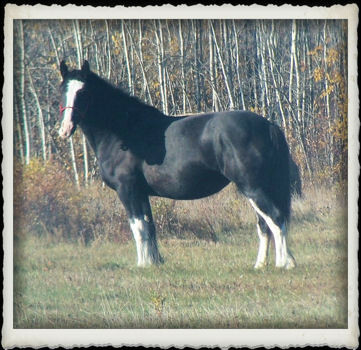 She was awarded Elite mare status by CWHBA in 2006. 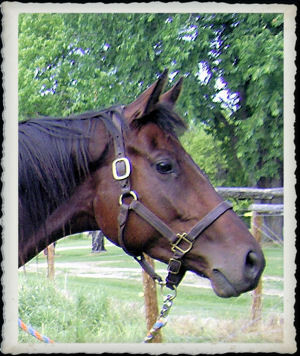 Falko, Sonja's dam's sire, was a champion hunter, hack and Grand Prix Jumper. He won the ATCO Cup in 1992. He was the sire of champion hunters, jumpers and dressage horses. Sonja had a beautiful bay filly in 2017 which we plan to keep. Sonja will not be bred for 2018. Well put together bay Belgian cross mare. She stands about 15.2hh and is still growing. Early Girl had a beautiful Spotted Draft foal in 2017. She will not be bred for 2018.
mare. 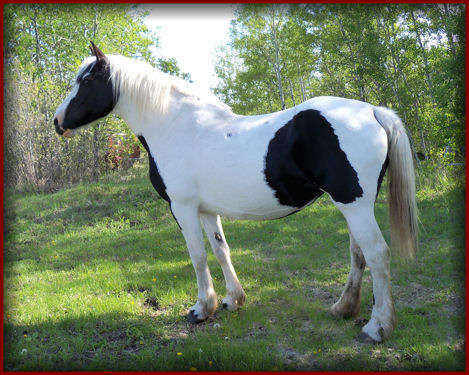 She stands approximately 16 hh. 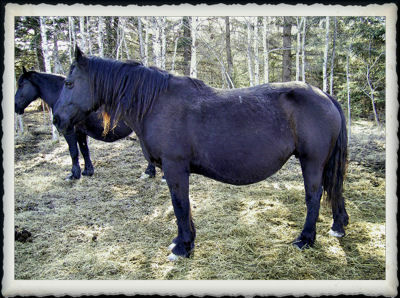 she passes on to her foals. 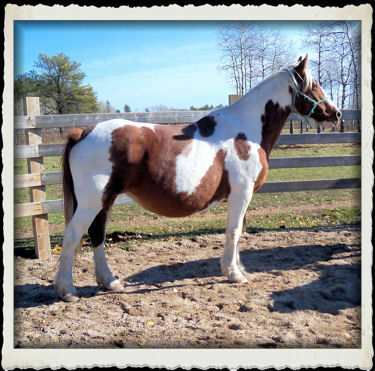 Kallie will not be bred for 2018.
together and beautifully marked mare. and big with beautiful movement! Nocturne did not have a foal in 2017. We do not plan to breed her for 2018. 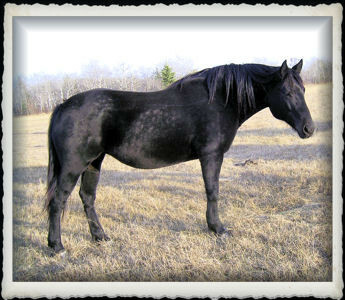 Pine Jack Ridge Nell is a 1998 black Percheron mare. 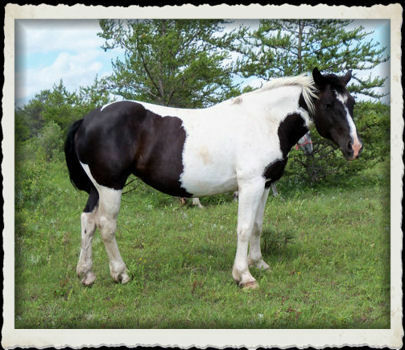 Recorded with the Spotted Draft Horse Registry. 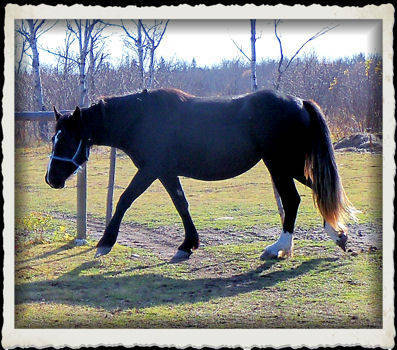 This mare has a huge trot and moves beautifully! 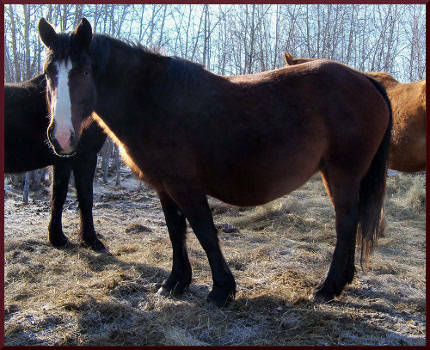 Nell (and foal in utero) have been sold, thank you Dennis in Manitoba! Honey was not bred for 2017. We do not plan to breed her for 2018. 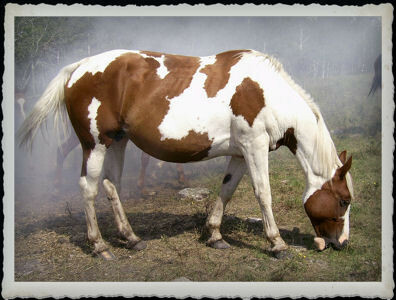 Registered with the Spotted Draft Horse Registry. This is a filly we bred here on the ranch. Her dam is Uno and sire is Birch. Big, beautiful, nicely put together mare. SOLD thank you Liz in Virginia. Black sabino - she has a white tail! 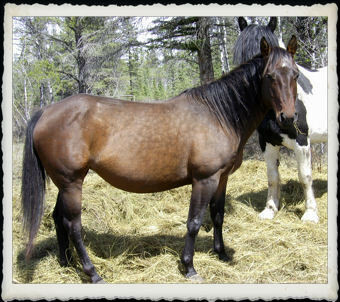 This filly was bred here on our ranch. Her dam is Nell and sire is Birch. She stands close to 17.1hh. nature, just like their mother. 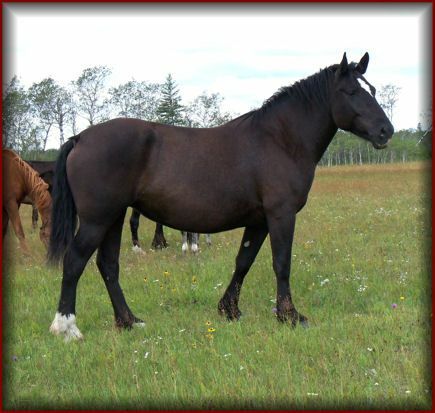 She was bred by MJ Millar Ranch of Lundar, Manitoba. 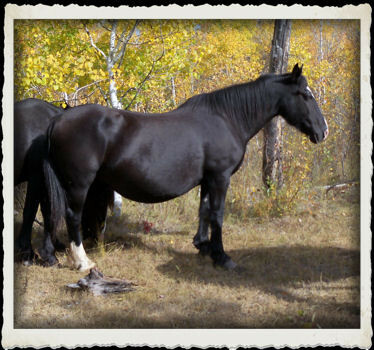 This big, well-built mare stands at least 16.3hh. Fancy stands at least 16hh. very nice draft cross foals for us. kind natured foals for us. work with and a great mom.